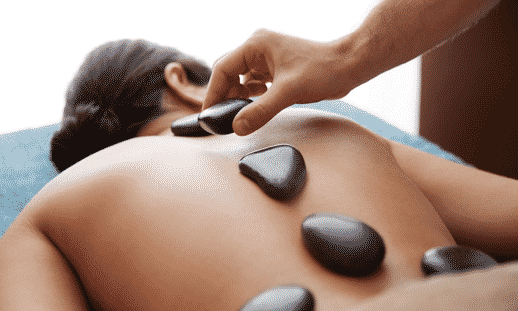 Home » Health & Wellness News & Articles » Ever thought of giving hot stone massage a try? Most of the time, we are all so busy trying to help those around us that we forget to take care of ourselves. In hot stones massage volcanic Basalt Stones are first heated and different sized stones are used to massage the body, working deeply and gently into the muscles. Some stones may be left in places around the body to further relax muscles. If you enjoy hot baths, you will love this treatment! If you’ve never considered hot stone massage as your monthly treat, let us tempt you with some surprising benefits…. Hot stone massage can relieve muscle soreness and tension. Muscle tension can occur when exercising, from a past injury and even stress. The hot stones encourage blood flow to the affected areas of the body, relieving the muscles. Everyday stress can build up over time and can eventually affect your day to day productivity. Massage can relive stress and anxiety symptoms, and promote relaxation throughout the body. In turn, being more relaxed will help you sleep better. Hot stone massage encourages a better quality of sleep.